Abdel Fattah El-Sisi, President of Egypt. In a surprising move last week, Egypt postponed a UN Security Council vote on a resolution it had proposed demanding an end to Israeli settlement building in the West Bank. Although the resolution eventually passed, the event provided another of example of the increasingly close cooperation between Egypt and Israel. The Cipher Brief sat down with Michele Dunne, Director of the Middle East Program at the Carnegie Endowment for International Peace, to discuss the current state of relations between Egypt and Israel. HOW HAS THE EGYPT-ISRAEL RELATIONSHIP EVOLVED SINCE ABDEL FATTAH EL-SISI BECAME EGYPT’S PRESIDENT IN 2013? Michele Dunne: Egyptian-Israeli military and intelligence cooperation has long been close. That continued during the presidency of Mohammed Morsi (2012-2013), and has grown even closer since the 2013 military coup. In June 2015, Sisi sent a new Egyptian ambassador to Tel Aviv; his predecessor had been withdrawn at the time of the Israel-Gaza war in 2012. But although official relations have improved, that is not true at the people-to-people level or even in other parts of the government. In spring 2016, an Egyptian member of parliament was expelled from the assembly for hosting the Israeli ambassador at his home. Anti-Israel (and anti-American) material continues to appear in Egypt’s state-run media as well as privately owned media. HOW HAVE ISRAEL AND EGYPT COOPERATED (INTELLIGENCE SHARING, EQUIPMENT SALES, TRAINING, ETC.) TO COMBAT REGIONAL THREATS, SUCH AS ISIS IN THE SINAI AND HAMAS? MD: Israel and Egypt share information about Sinai and Gaza, and Israel has allowed Egypt to increase its military presence in Sinai beyond what is strictly allowed under the 1979 peace treaty. There is some level of coordination about when and how Egypt opens its border with Gaza, as well as how to treat Hamas, although it seems the two sides do not always agree on such matters. In general, Israel would like Egypt to take more responsibility for Gaza, and Egypt resists. Other aspects of their military cooperation are secret; there are reports of Israeli operations in or over Sinai such as drone flights. WHAT IS THE LEVEL OF ECONOMIC TIES BETWEEN THE TWO COUNTRIES? ARE THERE ANY SECTORS THAT HAVE PROVEN PARTICULARLY ECONOMICALLY BENEFICIAL TO BOTH COUNTRIES? MD: There is not significant trade or tourism between the two countries at this point, due to Egyptian popular opposition to “normalization” with Israel and to terrorist threats against destinations once frequented by Israelis in the Sinai. There are several Qualifying Industrial Zones (QIZs) in Egypt, where goods with Israeli inputs are produced and exported to the United States duty free. Egyptian exports of natural gas to Israel were disrupted after 2011, due to militant attacks on the pipeline as well as political controversies about the terms of the deal. ARE THERE ANY OTHER AREAS OF COOPERATION THAT THE TWO COUNTRIES COULD BUILD ON? MD: Egypt could certainly benefit from Israeli technology in agriculture, education, and other areas, but there remains opposition from many Egyptians to such contacts. AS ONE OF THE FEW ARAB COUNTRIES THAT MAINTAIN OFFICIAL DIPLOMATIC RELATIONS WITH ISRAEL, HAS EGYPT PLAYED THE ROLE OF A “MIDDLEMAN” BETWEEN ISRAEL AND OTHER ARAB STATES? IF SO, HOW? MD: Egypt under former President Hosni Mubarak, and even under Morsi, played a useful mediating role between Israel and Palestinians as well as among different Palestinian factions. 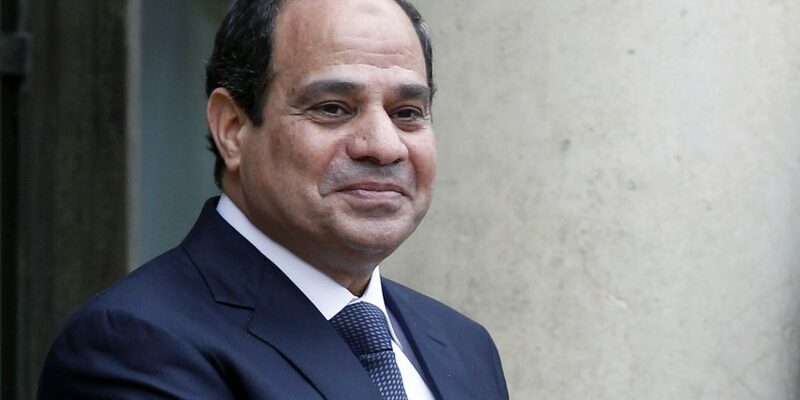 That has been much less the case under Sisi; his enmity with the Muslim Brotherhood has meant he can no longer play the same brokering role with Hamas. In any case, successive Egyptian leaders have been preoccupied with domestic problems for at least a decade now and have not played the sort of active regional role their predecessors once played. WHERE DO YOU SEE THE RELATIONSHIP HEADED IN THE SHORT-TERM? MD: Probably more of the same: military and intelligence cooperation regarding Sinai (although not enough to end the insurgency there), some differences over how to handle Gaza and Hamas, correct diplomatic relations, and that is about it. COULD THE INCOMING TRUMP ADMINISTRATION AFFECT THIS RELATIONSHIP? MD: All U.S. Administrations have wanted to foster Egyptian-Israeli cooperation and have used that objective to justify continued military assistance to Egypt. Ironically, the two parties got closer at the very time (2013-14) when the United States temporarily suspended military assistance due to the coup—which shows that the Egyptian-Israeli relationship has long since developed its own dynamic, and that what the United States does will not affect it significantly. This is likely to continue to be the case under President-elect Donald Trump.